Sometimes, there’s nothing better to do on your phone than to relax to a nice, casual title that doesn’t really offer anything fancy or innovative, just classic, easy-to-learn gaming that’s familiar to a very broad selection of mobile gamers. 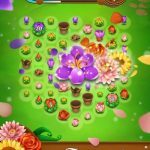 Of course, we’re talking about Match 3 gaming here, and King’s Farm Heroes Super Saga is the latest such title from the casual gaming giant to fall under this genre. 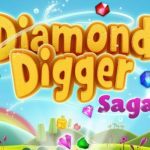 The maker of Candy Crush Saga, Diamond Digger Saga, Blossom Blast Saga and other popular Match 3 titles is back with a new one, and it builds on previous Farm Heroes titles, as the Cropsies are back, and bigger than ever. The game’s antagonist, Rancid Raccoon, has returned to make life miserable, and he’s done that by winning all the Country Shows through dishonest means. Of course, you know he’s cheating, and the only way for you to defeat the evil raccoon is to solve more Match 3 puzzles, which, in the context of the game, means growing the biggest Super Cropsies, and winning the Country Show. Now, you may or may not have played Match 3 titles in the past. 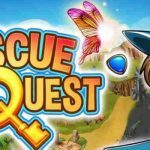 So if you haven’t, you’ll want to check out our list of Farm Heroes Super Saga tips, cheats and hints, to help you get your feet wet to the genre in general. But if you’re a Match 3 vet, you’ll still want to read this, as you might learn a couple new things along the way. We’ve seen a few Match 3 games in recent months add a new wrinkle to the time-tested mechanics (no pun intended) by adding time limits. King, however, believes that if something isn’t broke, then you shouldn’t fix it. That means there’s still no time limit in Farm Heroes Super Saga, which should allow you to take all the time you need to evaluate the board and make the best possible moves. This is another common tip in Match 3 titles that applies to this game and then some. You’ll want to make your matches near the bottom whenever you could, as that would allow more wiggle room for the crops to move. As there’s a wind mechanic introduced in this game, the “make matches near or at the bottom” rule may not always apply, but as a general rule, it still holds true, even with the wind taken into account. 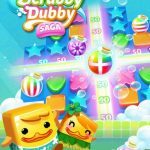 It’s easy to get sidetracked by the goal to hit three stars and score as many points as possible – points are typically the first and last thing you see when starting a level. But you’ve also got the objectives to consider, and completing them will, in fact, give you a better chance of scoring more points and hitting a perfect three stars. For example, you might need to clear out flowers, which is done by repeatedly making matches beside them. Always check the objectives before starting a level, and work toward achieving them. If you’re a veteran of Match 3, you know for a fact that you shouldn’t stop at three matches if you have the chance; you should try to match as many pieces as possible so you can clear the board faster. That’s because those matches will form a special type of piece that does more damage to the board than a regular Match 3 combo would. A match of four in a T-shape, for instance, would boost the quota of any surrounding crops. Matching four in a square would make the crop much larger, giving you a chance to score more points; you will, however, want to aim for matching three of these “Mega Crops,” which could potentially fulfill all objectives in one go. And if you match five in a row, you’ll clear all identical crops of that same kind, which could take out a huge portion of the board, just like that. The game comes with boss battles, just as most well-known Match 3 titles do. And in these battles, you’ll be up against Rancid the Raccoon, who will try to make it hard for you by throwing cans your way. That would require you to make matches next to the cans, thus inflicting damage on the game’s Big Bad. But keep in mind that you will have to make specific matches, so don’t match pieces arbitrarily, thinking that they’ll all do against Rancid’s cans. The wind mechanic is all-new on Farm Heroes Super Saga, and we have to give it to King; as we often say, every major Match 3 game has something unique to offer that isn’t found on most other titles, but the presence of wind is an especially nice touch. As we explained a few tips ago, wind could throw a spanner in the works of your general plan to make matches from the bottom, even if that general plan is still a solid one. And here’s the most basic behavior of the wind that you’ll have to remember – if you manually move your crops left, for instance, the wind will come from the left, and move the crops accordingly. This also applies you’re moving crops in the other directions. We gave you a brief overview of wind and how it works in this game, but the main thing to remember when it comes to wind is that it forces you to focus on where you’re moving the crops, should you be swapping two with each other. The location of the crops makes much more of a difference than ever, though if you practice hard enough and get a good feel of how the wind blows in the game, you may be able to use it to your advantage, and have the wind assist you in stringing together some potentially board-clearing combos. That’s all for now, as far as our Farm Heroes Super Saga tips, tricks and hints are concerned. If you know more tips for the game, feel free to let us know by commenting below!